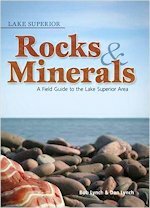 Part 2 - Minerals & Agate "cousins"
The first two reference books for Lake Superior beach rocks and agates I found helpful are: Sparky Stensaas' "Rock Picker's Guide to Lake Superior's North Shore" and Susan Robinson's "Is this an Agate." Armed with Sparky's and/or Susan's book plus some of the pictures and descriptions I've provided here, perhaps will help you ID what you are collecting. Another rock pickers reference book that helped me with agate hunting is "Understanding and Finding Agates " by Karen Brzys. It is now out of print but you may find it in some used bookstores. But Karen's new book "Agates Inside Out" is even more comprehensive. 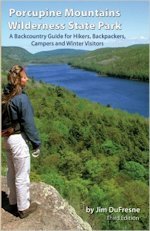 See my note on it below in the Agate Books section where we list several of our favorite references for finding Lake Superior Agates and identifying Superior beach rocks. 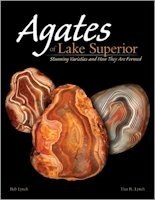 In addition to the reference books helping expand our agate hunting skill and knowledge, we were greatly helped by attending the "Rock On with Lake Superior Agates" festival. 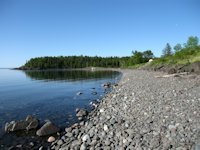 We learned a great deal more about identifying and collecting agates on Lake Superior's beaches. 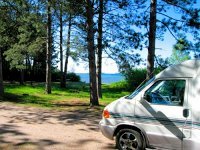 Lots of fun and great way to learn more about the hobby of beach rock and agate collecting. 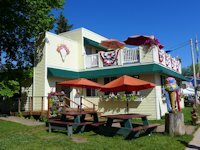 This section continues with pictures and descriptions of some non-agate beach rocks plus provides a few pictures of agates we and others have found on Superior's beaches. By the way, if you want to print out any of these larger images, just *right click* on the image and choose "copy image" to copy it to your hard drive. Once there you can click on it and print it out. Quartz is a common mineral found among the beach stones, very hard (will scratch glass), somewhat translucent like frosted glass, and be white to yellow to grayish in color (impurities cause this variety in colors). 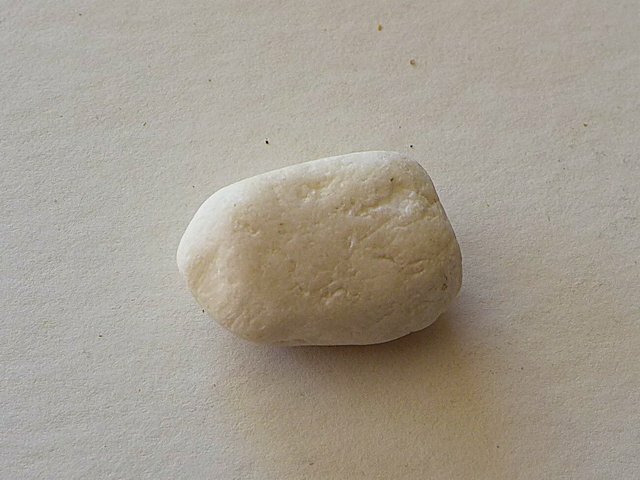 Generally found as pebbles or imbedded in other rocks. In fact some of the pebbles were formerly amygdules that broke loose from the rock in which they were imbedded. 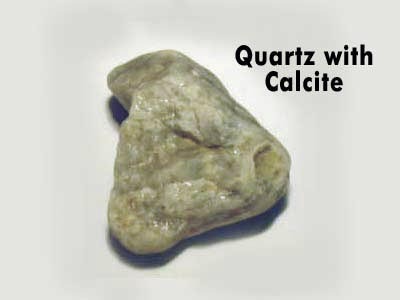 Calcite (calcium carbonate) at first glance may be thought to be quartz as it is a similar color (white to yellowish) and also commonly found, both as pebbles and imbedded within other rocks. But scratch it and you'll see it is much softer than quartz - chalky. Cherts are a tiny crystal form of quartz. Impurities make them less translucent than quartz. 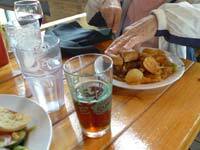 They have a waxy appearance, somewhat shiny. 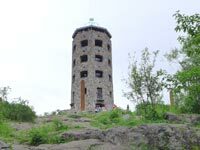 The rocks depicted in the picture are cherts. 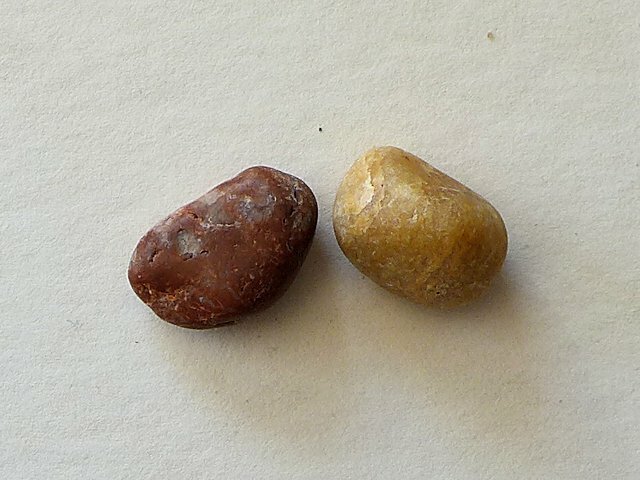 I think the stone on the left is a Jasper, a variety of chert. 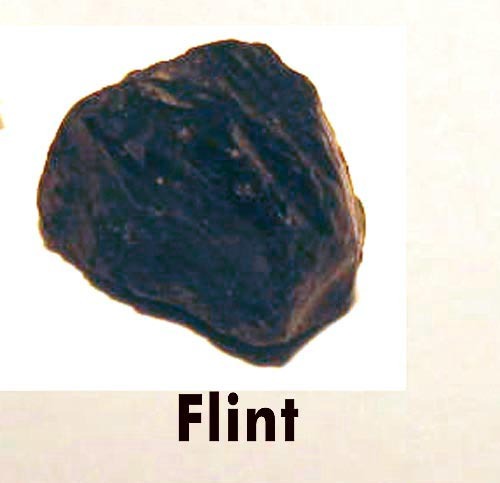 Another variety of chert is Flint, essentially black chert. 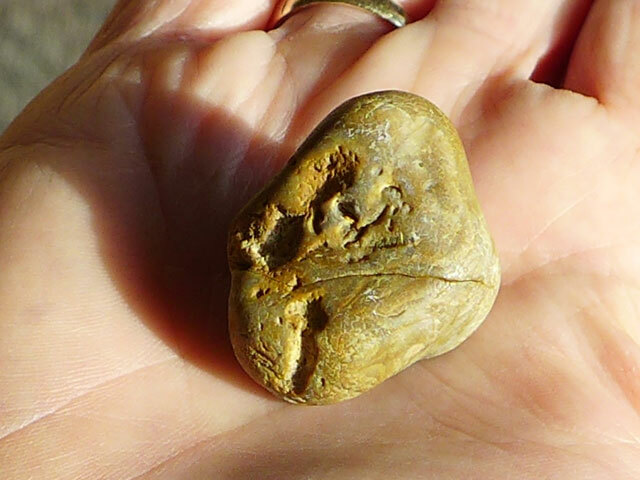 Note the waxy, somewhat shiny surface of this unpolished rock. 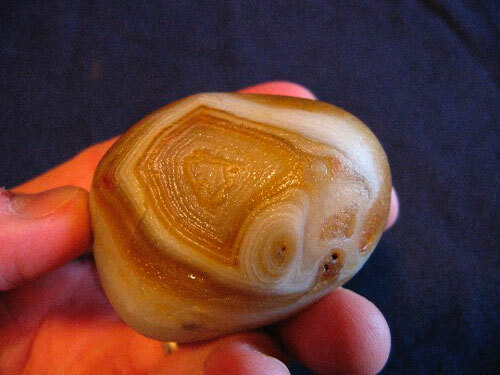 When I picked this guy off the beach at Black River Harbor, Michigan in 2008, I thought I had finally found my first Lake Superior Agate Beach Rock. 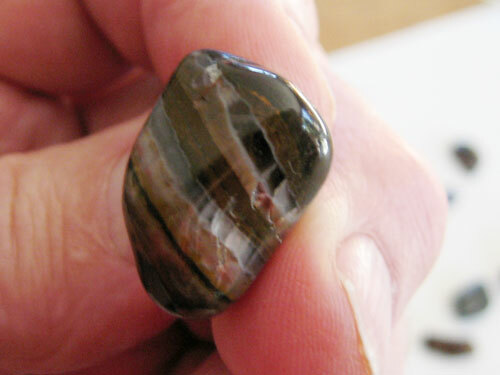 It's bands are somewhat different than many of the Superior Agates I've seen. 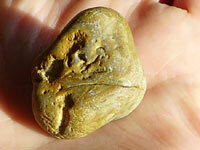 My wife Jo thinks it is a water-level agate. 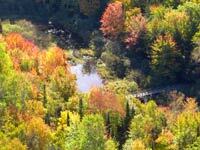 Here's two views of it. 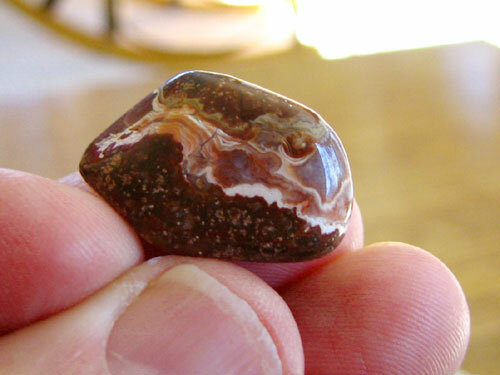 In 2009 I found another Agate. 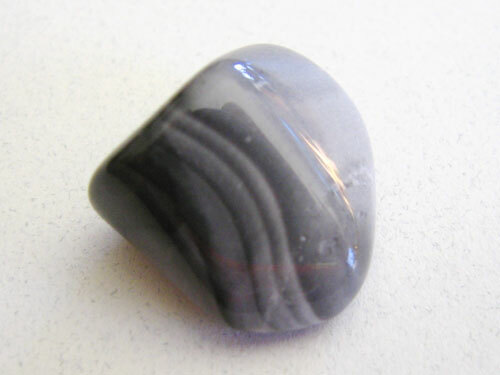 This one is called a seam agate as the agate forms in a seam of the host rock. 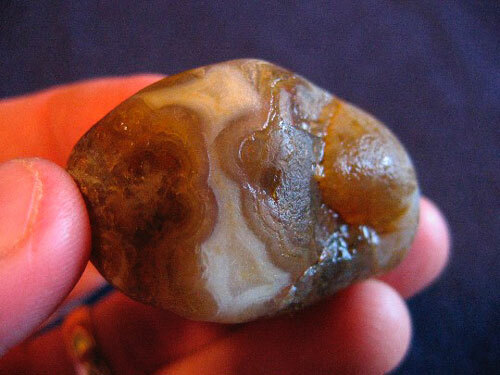 Jeff King of Pickford, Michigan sent me some pics of 3 agates he found during the summer of 2009 on Lake Superior beaches near Munising, MI - - - Great finds Jeff, I'm jealous. 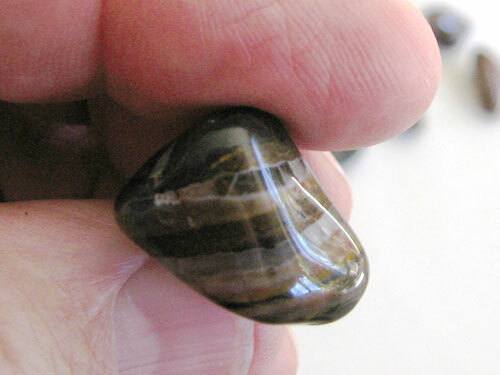 Now the attractive banded rock pictured here is NOT an agate. 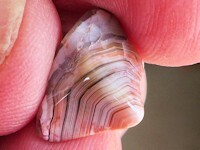 But could easily be mistaken for an agate due to its banding and chochoidal fracture pattern. 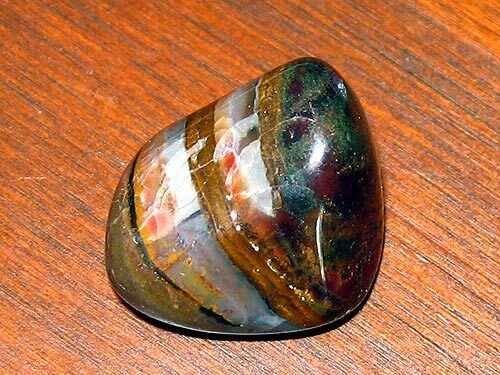 But this rock is a banded chert, an agate cousin, but not an agate. 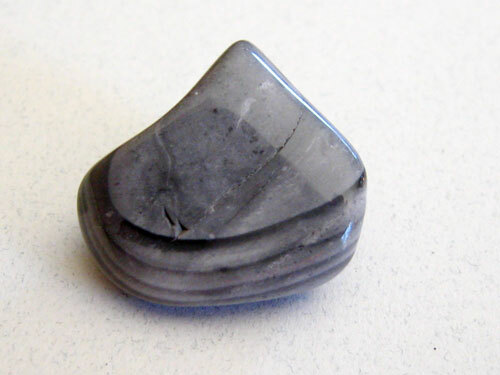 The bands formed similar to how they form in a true agate but the crystal granules are so tight that the rock is opaque rather than translucent or partially translucent. 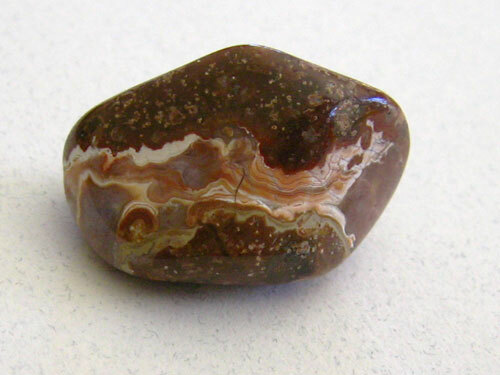 Another marker that it is a chert rather than an agate is its color is atypical of a Lake Superior Agate. Sharpen your Agate identification skill by recognizing some more beach rocks that look like Agates but are Agate Wanna-Be's. 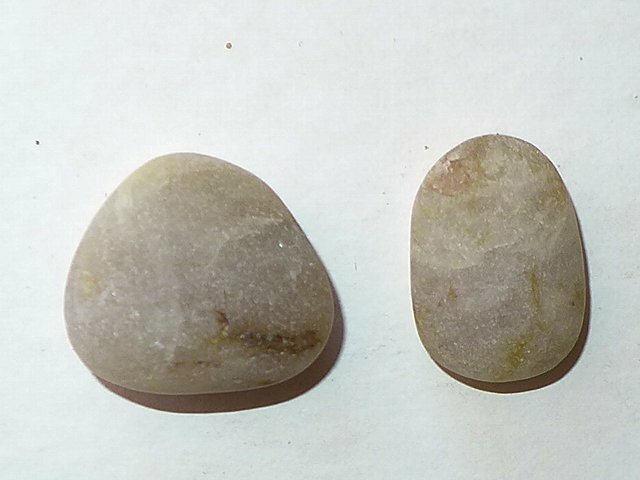 Here's an example (left) of gnarly rock you might pick up on the beach and through away, but if you look close and understand characteristics of Lake Superior Agates in the rough, you might take it home and crack it open to discover an Agate inside (right pix). Part 3. 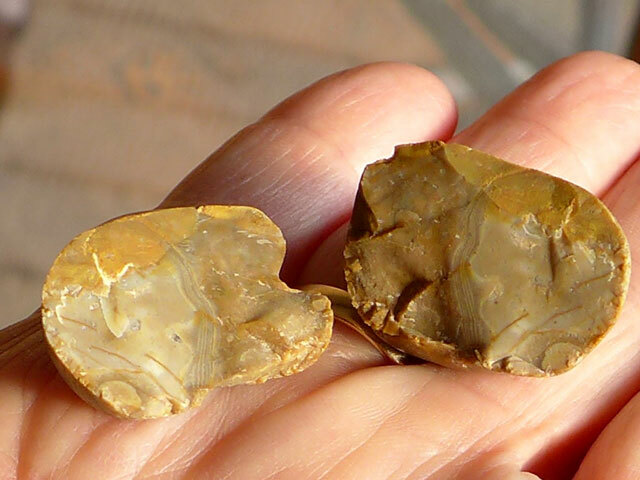 Identifying Agates vs. Agate Wanna-Bees. 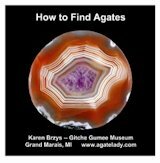 See more Lake Superior Agate Pictures plus some advice on using tumbling pellets to tumble and polish agates. 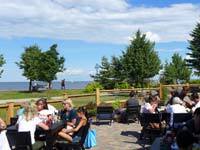 Black River Harbor Agate Hunting - pictures and video. 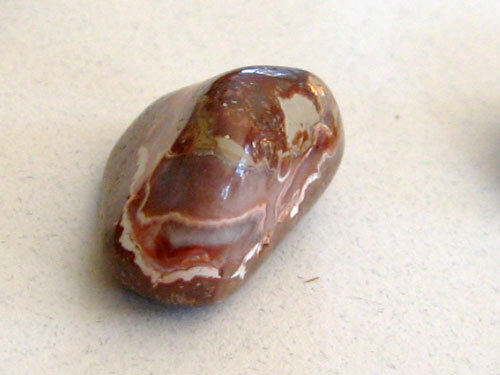 See some advice on using tumbling pellets to tumble and polish agates. 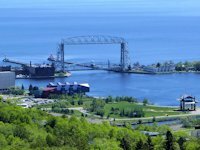 The big holiday season attraction around Lake Superior is Duluth's Bentleyville Tour of Lights, one of the largest outdoor holiday lights displays in the USA. 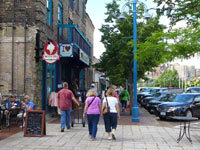 See more Duluth Holiday events here.